KANSAS CITY, Mo. 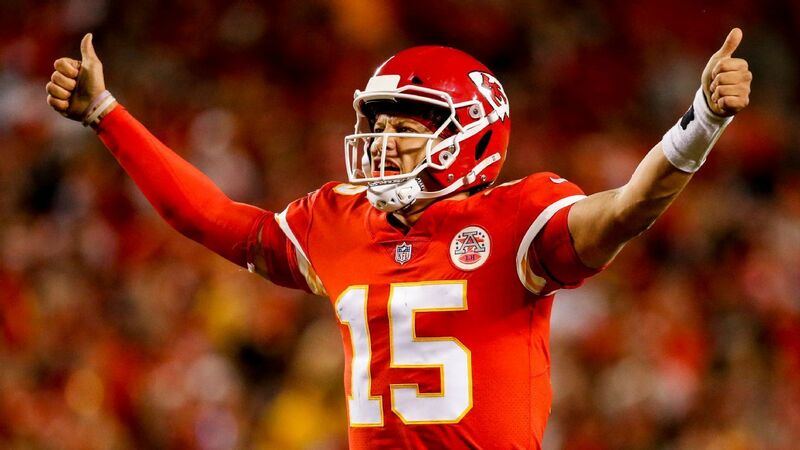 -- The career of Kansas City Chiefs quarterback Patrick Mahomes through eight games has been like no other, at least not when it comes to touchdown passes. He is closing in on the Chiefs' single-season record for touchdown passes. Len Dawson threw 30 touchdown passes in 1964, and Mahomes needs nine TD passes to surpass him. So far this season, Mahomes threw four touchdown passes in games against the Chargers and Patriots and six against the Steelers. On Sunday, he threw three touchdown passes in the first half as the Chiefs built a 24-7 lead. He had scoring throws of 6 and 15 yards to Kareem Hunt and 17 yards to Demetrius Harris. Mahomes' 22nd touchdown pass of the season came in the fourth quarter. Tyreek Hill caught the 3-yard throw. Mahomes failed to throw a touchdown pass in two of his eight career games: last season against the Broncos and this year against the Jaguars.